Perfectly sweet, with deep notes of caramel from the brown butter, this frosting is so creamy yet sturdy enough to pipe decorations with. Might just become your new favorite! There’s no doubt that cream cheese frosting is easy to make and the perfect pairing to many cakes like pumpkin, carrot, red velvet and spice. 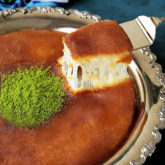 Its creamy, its tangy and tastes a lot like cheesecake. However, the way it behaves sometimes, just drives me crazy! It has a tendency to be way too soft and weepy. Try layering that with a cake and you’ve got yourself a sliding mess. Now picture that in summer. Recipe for disaster I tell ya. Then there’s this drama of having it separate. Let’s just say that it might result in the shedding of a few tears and/or bursting anger words and pulling of one’s hair. Speaking of experience here. There’s always this common solution of adding “more” confectioners sugar to stiffen it up, but that just turns into a gritty sugar bomb. 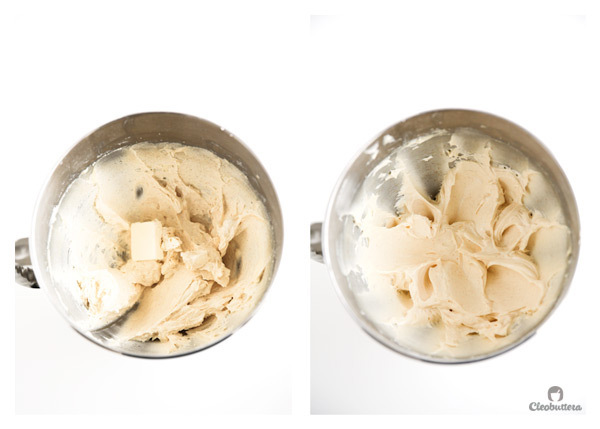 This brown butter cream cheese frosting solves all that, plus it tastes like caramel. What a bonus! The good news is, its still just as easy. It’s perfectly sweetened so its not cloying nor is it under-sweetened so it feels like you’re eating a tub of cream cheese. 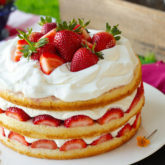 Its so smooth and creamy yet sturdy enough to pipe decorations with and pile layers of cake on. And that brown butter flavor is truly dreamy. 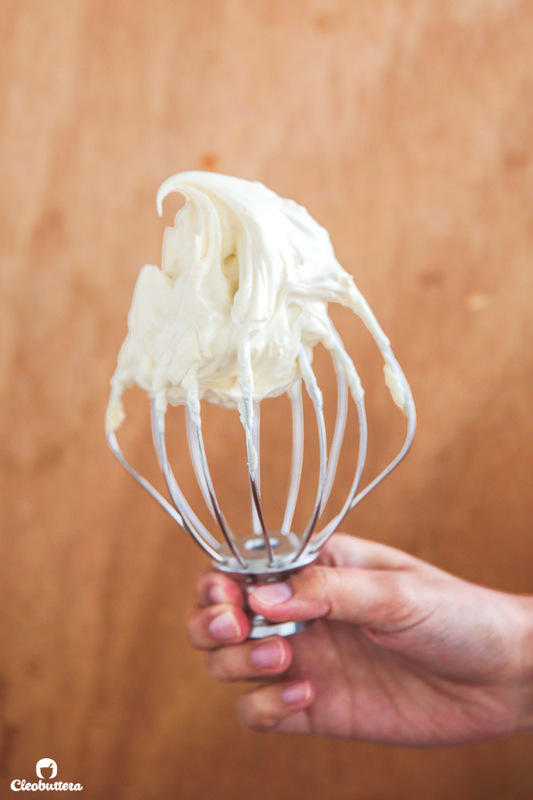 You might just never make cream cheese frosting with regular butter again. 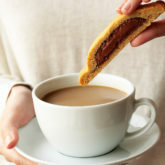 The brown butter give it hints of nuttiness and deep caramel notes that just puts it over the top. Then get it to room temperature by putting it in a small bowl in the freezer for about 45 minutes until it solidifies again but is still soft. After that, beat the brown butter for about a minute until creamy then add the confectioners sugar. A little salt to balance out the sweetness and some vanilla, because how could vanilla ever go wrong? Cream that together for about 5 minutes until lightened up in both color and texture, then add one piece of COLD cream cheese at a time, one after the other, mixing well after each addition so there are no lumps. The cold cream cheese is the secret to making this frosting pipable. Continue adding the cream cheese until its fully incorporated, then beat the whole thing for about 2 minutes to lighten it up. Do not overbeat or you might risk getting the frosting too soft from the heat of the beaters. I can’t guarantee that it will make it to the cake though. You’ll probably end up eating it straight from the bowl. Oh and let’s hear it for my sister-in-law for the hand modelling! Place the butter in a light colored skillet or saucepan over medium heat until melted. Continue cooking, swirling the pan constantly and stirring with a heatproof rubber spatula, until the butter is dark golden brown a has a mezmerising nutty aroma. Transfer to a small bowl, cover and place in the freezer for about 45 minutes or until its solidifies but is still soft a pliable. 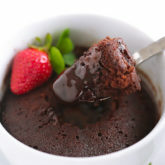 If it get too solid and cold, give it a quick zap it the microwave to loosen and get it back to room temperature. Just make sure its not warm one bit. 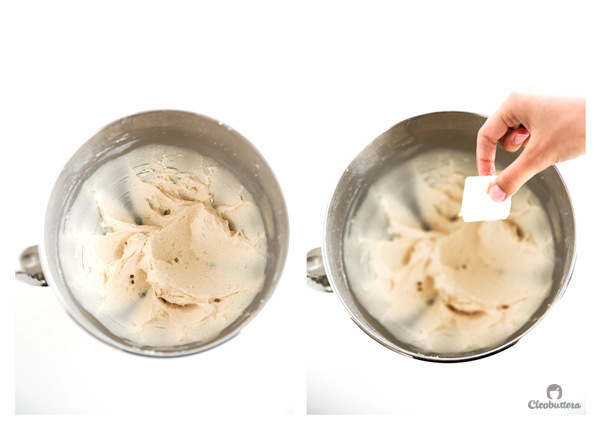 Place the butter in the bowl of a stand mixer fitted with the paddle attachment or handheld mixer. Beat the butter for about 1 minute until creamy. 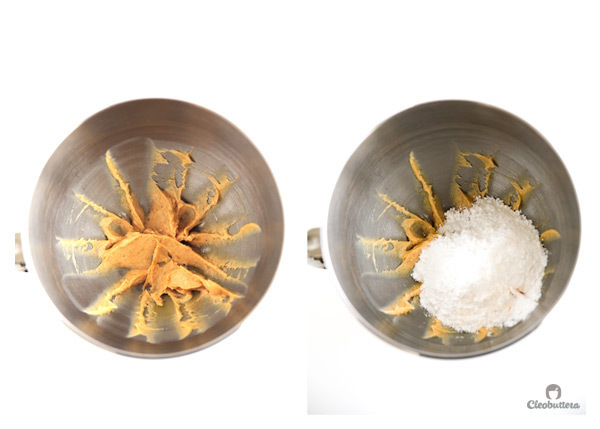 Add the confectioners sugar, salt and vanilla and beat for about 5 minutes until lightened in both color and texture. Add one piece of cream cheese at a time, one after the other, mixing well after each addition so there are no lumps. Continue adding the cream cheese until its fully incorporated. Beat for about 2 minutes to lightened it up being careful not to overbeat or you might risk getting the frosting too soft from the heat of the beaters. The frosting is now ready to use. 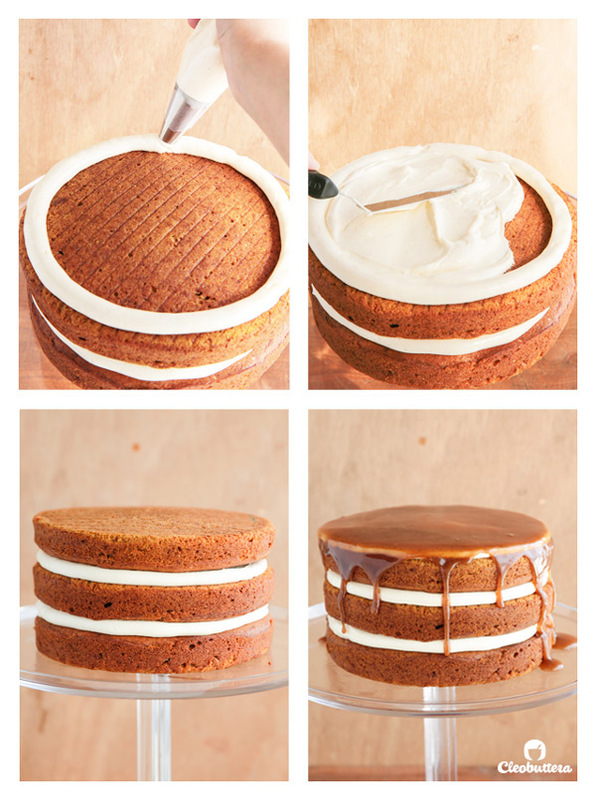 This frosting makes enough to fill a 3-layer 8 or 9 inch cake with bare sides like The Ultimate Pumpkin Cake. 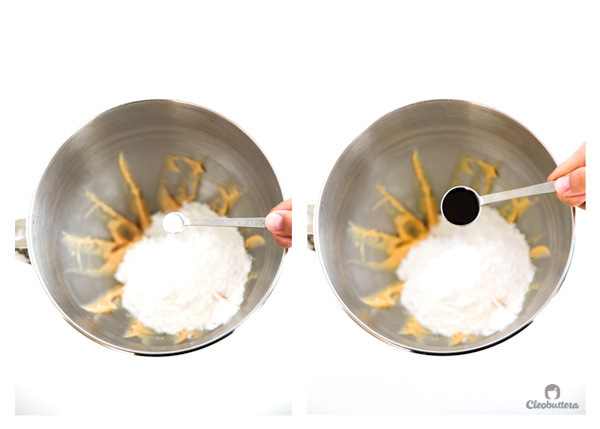 Double this recipe, If you wish to frost the sides of the cake too. 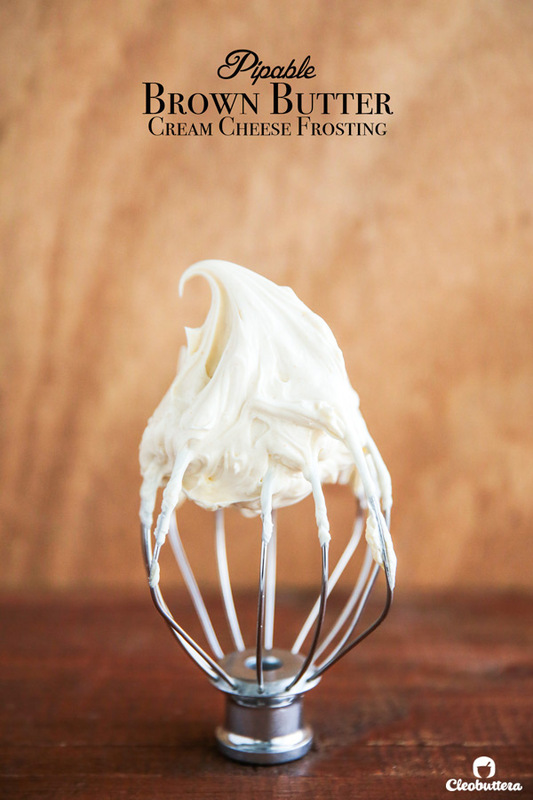 For a classic cream cheese frosting, feel free to skip browning the butter and use room temperature butter instead. Everything else, including the mixing method, stays the same. 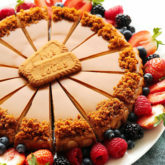 My favorite cream cheese brands for frostings are Philadelphia (the one that comes in brick-style packages NOT the spreadable ones in the tub) and Kiri squares. If using Kiri, use 14 squares. Measurements Note: All recipes of this site have been developed using weight measurements. Although US volume measurements have been included for your convenience, it is highly encouraged that you weigh your ingredients using a kitchen scale to get the best possible results. Due to the sensitive nature of baking, kitchen scales are proven to yield more accurate and consistent results than measuring cups. Enjoy! Leave a comment below and let us know what you think! Or snap a pic and tag me @cleobuttera or hashtag it #cleobuttera on Instagram or Facebook. 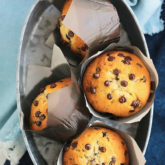 We love to see what you’ve been baking! All images and content are owned by Cleobuttera® and are copyright protected. Please do not use my images without prior permission. If you would like to republish a recipe, please rewrite it in your own words and link back to the recipe page on my site. 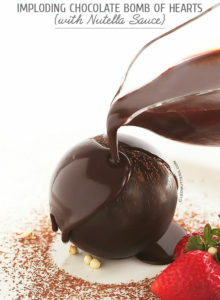 Original recipes and creations of this site are intended for personal and home use. Commercial replication or media consumption are only allowed with a written consent and agreement with Cleobuttera owners. Otherwise it is considered a violation of intellectual property. Thank you for respecting and appreciating the amount of time and effort that goes into creating free, unique recipes that make people happy. This looks amazing! I’m all about browned butter! Can i use it in a fondant Cake ? Sure! It’s very stable and would hold up really well under fondant. I don’t usually comment on things, but I just made this for a carrot cake and it is divine! I’m on a brown butter kick these days, and this is perfect. You can really taste the brown butter! I will have some happy co-workers tomorrow! Megan that makes me wanna do a little happy dance! I’ve had this recipe on the blog from almost 5 months and you’re the first one to report back. So thank you for letting me know how much you liked it. Isn’t brown butter the best?! I could imagine how good it would be on carrot cake. Yum! 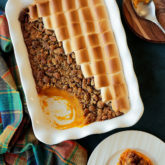 I recently tried it on a sweet potato cake & it was a match made in heaven. The cake was a total hit today at work! I am sure I will be making this many many more times. 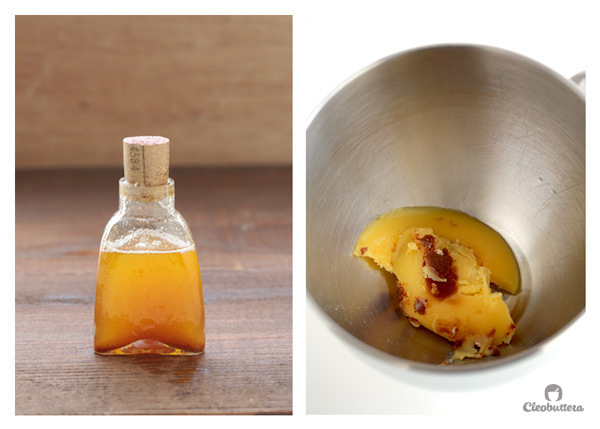 That Brown butter takes everything to a whole new level! 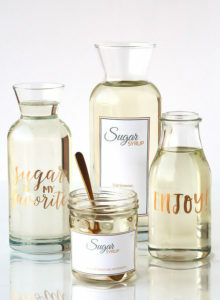 love love love your blog! i too have been seeing pumpkin recipes everywhere but havent yet gotten around to making a pumpkim cake. 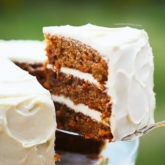 however your ultimate pumpkin cake with this frosting looks amazing so i think i need to make it asap! Oh Aneesa thank you so much! You have no idea how flattered I am with your lovely compliment. 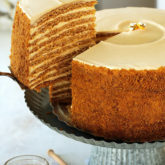 I really hope you get a chance to give this cake a go; it’s absolutely delicious. 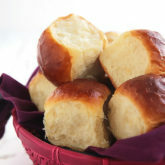 Wow this is truly an amazing recipe, probably the best I’ve found online in all my baking days! Thank you for sharing it with the rest of us. Caitlin your comment makes me want to sing🎼 I’m ecstatic that you like it just as much as I do. Hi there! 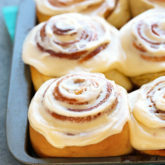 Can I make this icing in advance? How would I store it? I assume in the fridge, however do I need to let it sit in room temp before piping or pop in microwave for a few seconds? 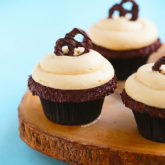 I have a baptism Saturday and need to make 50 of your wonderful banana cupcakes with this browned butter cinnamon cc frosting! 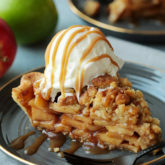 Yummmmm! Hi Lesley! Yes you can! Just put it in an airtight container (so it doesn’t catch any odors from the fridge) and refrigerate. The next day, let it come to room temperature which could take a couple hours, depending on the amount & temperature of your environment. I wouldn’t risk microwaving it because cream cheese has the tendency to separate if overheated. Then rewhip it for a minute or so to restore its fluffy texture. 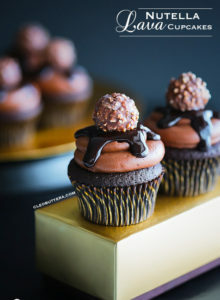 If you want, you could make and frost the cupcakes the day before and just store the whole thing in the fridge. Banana cakes tend to taste better the next day. Thanks so much for the fat reply! 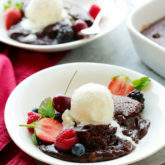 Your recipes are amazing!!! Do you think I can follow the same procedure regarding the frosting but make it tonight and use for Saturday? 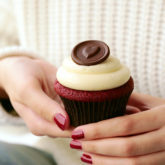 What’s the shelf life (fridge life lol) for both the cupcakes and frosting? So tonight? Ouch that’s too early. I just read in one my most trusted bake books that cream cheese frosting can keep refrigerated in an airtight container for up to 3 days. Then it says: let the frosting stand at room temperature until slightly softened, about 1 hour, then whip with an electric mixer on medium speed until smooth. As for the cupcakes, I’d give them 3 days too for maximum freshness. Does the sweetness mask the flavor of the cream cheese? No not really because this recipe in particular is not very sweet. It’s the brown butter that gives it a nutty/caramel-y flavor, but you could definitely still tell that it’s a cream cheese frosting. Yaaaay Nihan! So happy you’re loving this as much as I do. I’m normally not a cream cheese frosting person, but this….I could eat with a spoon. Browned butter is EVERYTHING! Wishing you a very happy 30th birthday 🎉 Enjoy your cupcakes! Upload attachment (Allowed file types: jpg, gif, png, maximum file size: 64MB. 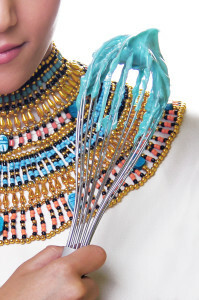 Your baking buddy from Egypt! I'm obsessed with perfecting dessert recipes so you don't have to. Join my journey as I share all my chocolate covered, caramel drizzled, ooey gooey findings.